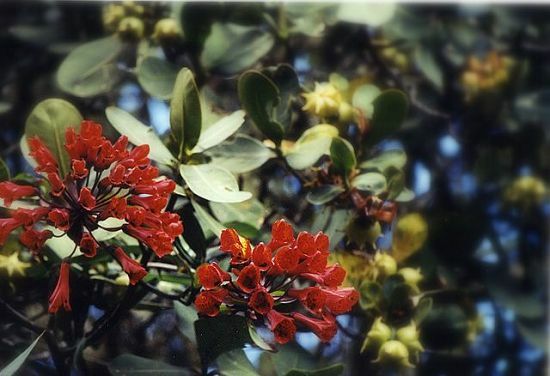 Now it is easy to experience an adventure just as easy as it is to dream of one. 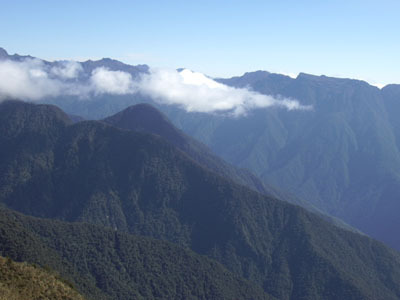 Join us for a marvelous adventure in La Paz’s Yungas forests, in the heart of the National Park and Integrated Management Natural Area Cotapata, via the community-based project, "ASOCIACION COMUNITARIA DE ECOTURISMO URPUMA.” Experience the legacy of our ancestors together with the richness and exuberance of the nature found in our home and at the same time, support directly the conservation of this richness and improving the quiality of our familie's life. 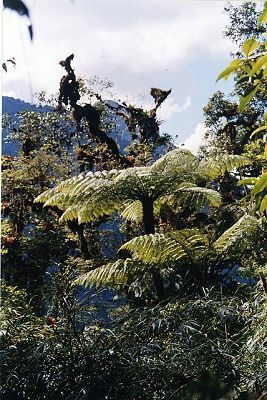 Guided by principles of “conservation with sustainable development,” URPUMA ECOTOURISM was created by members from several communities located in the buffer zone of Cotapata National Park and the Natural Area of Integrated Land Management. It was created to conserve our natural resources, recuperate our rich cultural heritage, and improve the quality of life in our communities. 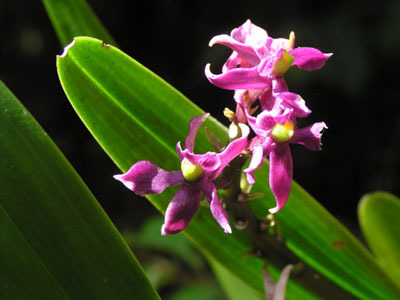 We offer ecotourism services that allow visitors to enjoy a pleasant and educational stay in the area. 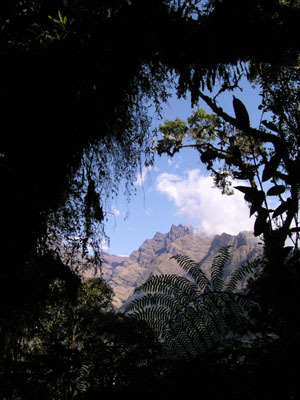 The benefits generated by URPUMA ECOTOURISM directly supports the well-being of local residents. 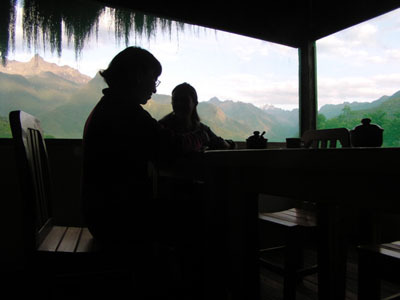 The Urpuma Ecotourism Lodge is located in Sandillani which is part of the renowned “Choro Inka Trail”, and the heart of the National Park Cotapata and its Natural Area of Integrated Land Management. Our lodge has all the comforts necessary to make your magical experience comfortable, pleasant, and unforgettable. Constructed of stone and earth (tapial) in a typical architecture, the lodge exhibits the survival of ancient construction techniques combined with modern elements. 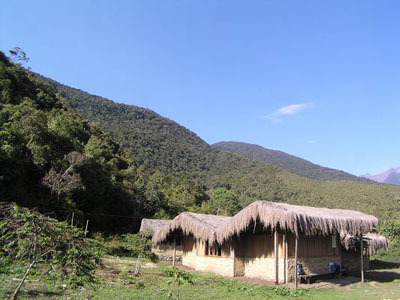 The people of El Chairo Community built the lodge using all our knowledge and our own hands. 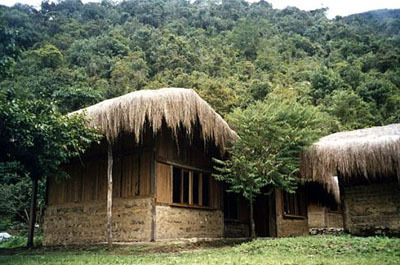 In addition, the use of local woods, bamboos, and other building materials reflects the richness and importance of the forests of the area for our people and our ancestors. The lodge has two cabins, each with room for four people, bathroom and hot water shower. Also we have one cabin with six bunk beds, permitting up to twelve guests. 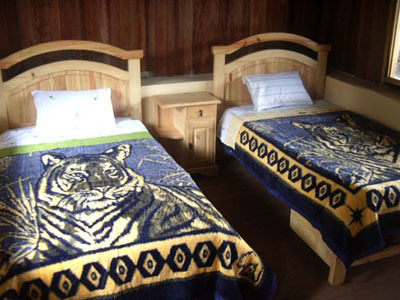 All rooms have twin beds and rustic furniture which provide an excellent relaxing athmosphere. The windows have screens against mosquitoes to provide safety to our gests. In our restaurant you will enjoy delicious dishes prepared with local ingredients while you enjoy the wonderful view of the mountains. You can arrive to Sadillani at any time, our staff will always be there to prepare delicious food and cold beverage including fruit juice, sodas and beer.